Once we arrived in Bukittinggi we opted to take a hike exploring the area. We got to explore Sianok Canyon, the Japanese Caves, built during world war two to store ammunition and hide soldiers. We also got to walk through rice fields and enjoy a buffet lunch at our guides house. The journey to Sibolga was broken up with a stop at a pineapple farm to try some amazingly fresh and juicy pineapple before moving on and taking a walk around a local food market. Samosir Island is located in the middle of Lake Toba, the largest volcanic lake in the world. Lake Toba occupies the creator of a super-volcano that when it exploded into being was the largest explosive event on earth in the last 25 million years. 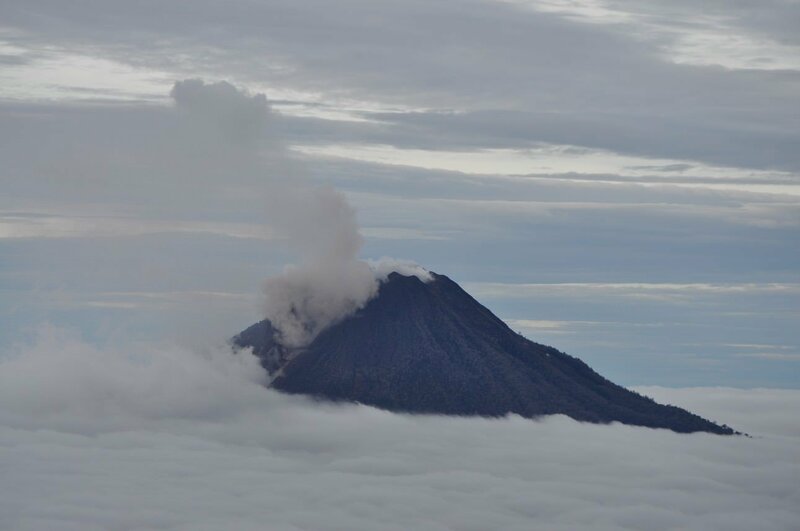 Staying in Berastagi we woke really early to hike up Sibayak volcano to watch the sunrise. The hike was great we got to see sulphur vents and had an amazing view of the valley from the top. 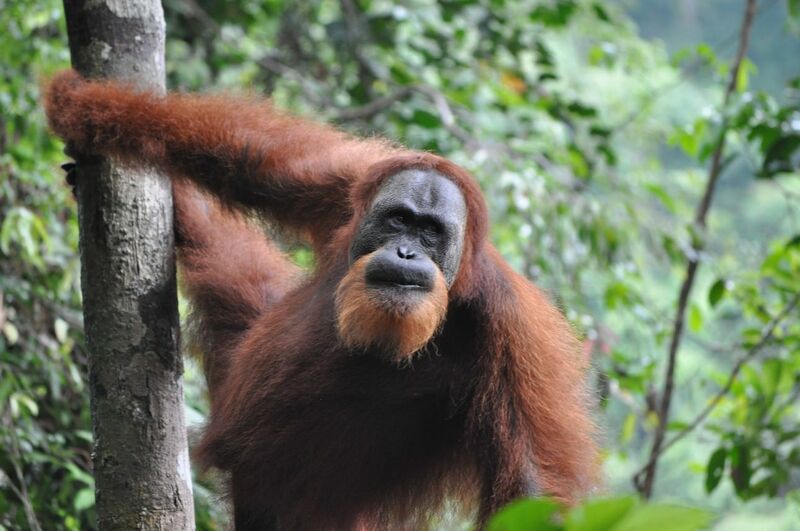 Bukit Lawang is home to the largest animal sanctuary for Orangutans and the entry point to the Gunung Leuser National Park one of only a couple of places in the world where you can see Orangutans in the wild. After that we headed out of the city through miles of palm oil plantations to the town of Tangkahan. 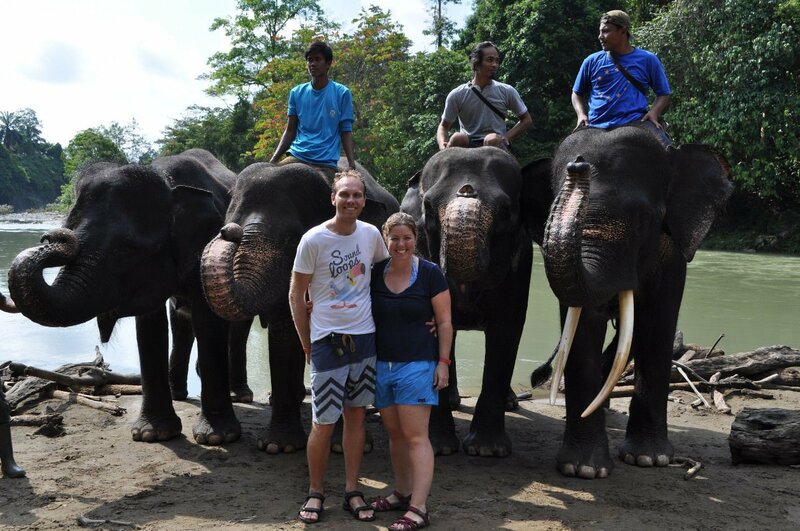 Here we were staying in a jungle eco lodge and the main attraction was a chance to wash Sumatran Elephants. Get ready to hit the ground running in this 28-day whirlwind tour of Indonesia’s top sights. 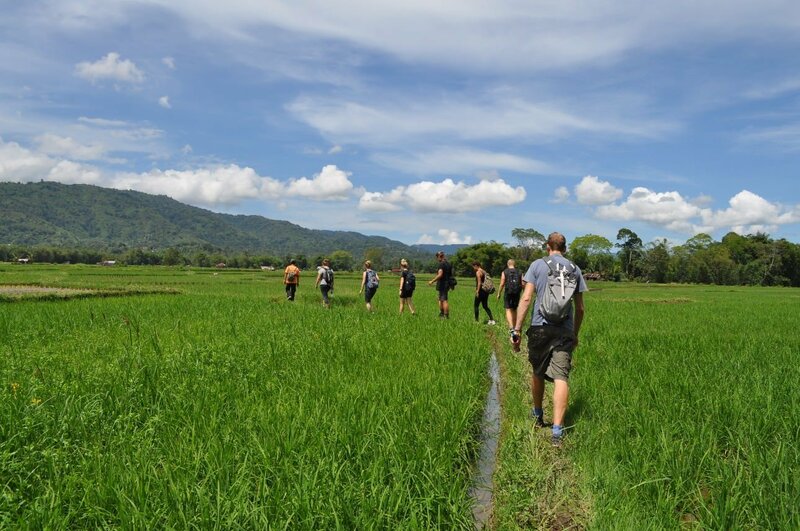 We mean that literally, too – you’ll stay active as you hike and explore Berastagi, Sipirok, Tangkahan, Bukit Lawang and more. 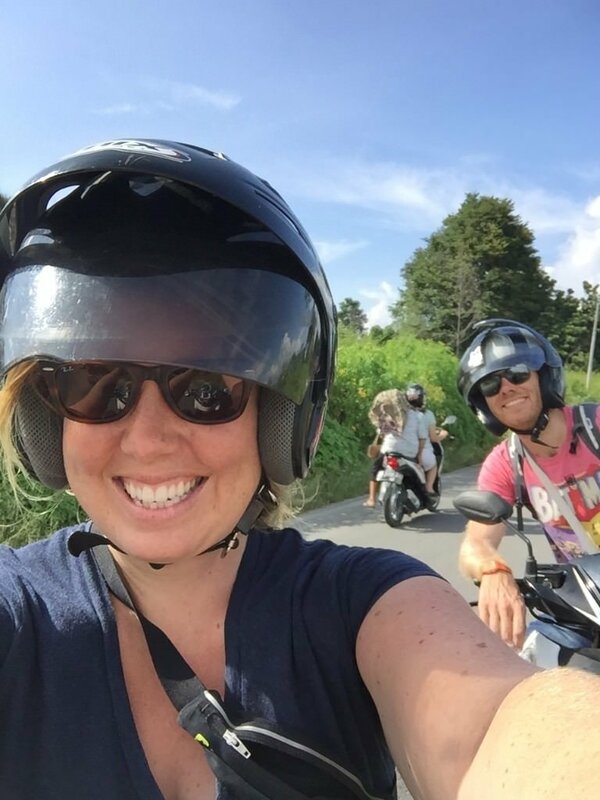 Recharge with street food crawls and coffee plantation tours, and take the time to get up-close and personal with orangutans and elephants. 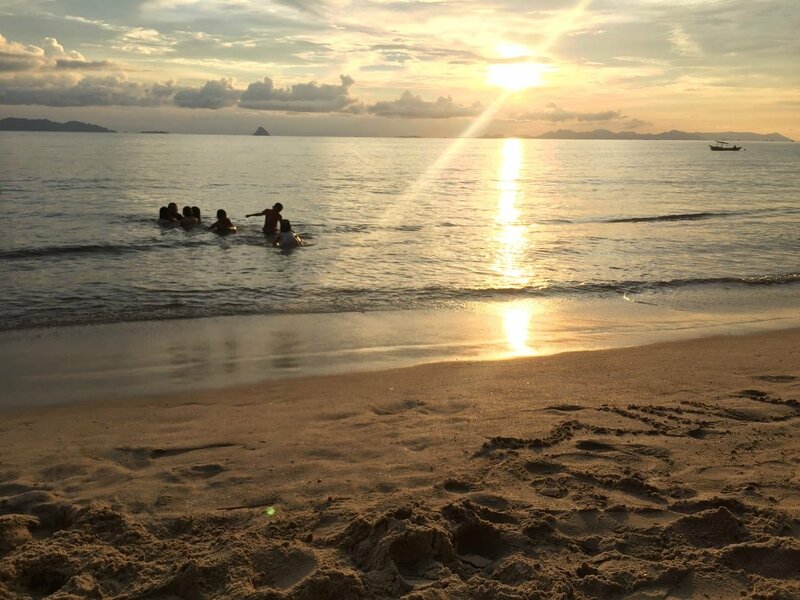 Experiencing it all with a group of like-minded travellers is the best way to get the most out of this dynamic country.